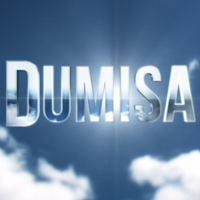 TV with Thinus: Dumisa channel on DStv adds new choral music show, Melodi, with presenter Franklite Setlhapelo, featuring 'raw talent' choirs from across South Africa. Dumisa channel on DStv adds new choral music show, Melodi, with presenter Franklite Setlhapelo, featuring 'raw talent' choirs from across South Africa. Dumisa (DStv 340) is adding Melodi as a new show with presenter Franklite Setlhapelo from Saturday 4 June at 18:00 that will showcase choral music. Each week a different gospel choir from a different part of South Africa will perform. Melodi will combine what it calls "raw talent" with beloved choral songs and share some of the background to the music itself with viewers. "I am greatly humbled to be part of the Dumisa TV family and to present Melodi," says Franklite Setlhapelo. "For me personally, this opportunity affirms what the Bible says 'where there is life there's hope from Ecclesiastes 9:4". Melodi will include school gospel choirs, church choirs and community choirs.